Close friends Briar Wright and Darlene Ross love working in one of Pukekohe's top cafès and say cafè owner Wendy Bobisen has fulfilled their dreams. The two women job-share at Café Berne, known locally for its great coffee. 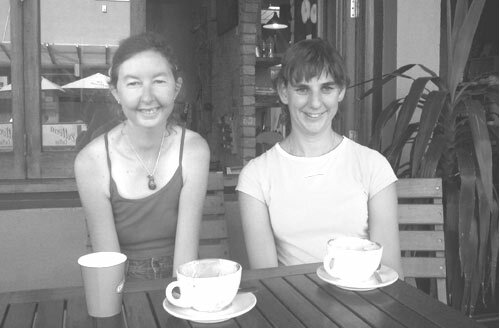 Briar has worked at the cafe for 15 months and is a valued member of the Cafè Berne's family. She works afternoons and her duties include washing dishes, food preparation and delivering meals to tables. Wendy says many customers now come in especially to see Briar. Darlene started work at the cafè in February. She was working at McDonalds and approached Wendy directly for a job, having seen how much Briar enjoys working there. Her duties are similar to Briar's and she is enjoying learning more about food preparation. Wendy says when she was first approached about employing someone with an intellectual disability she had some concerns about safety in the kitchen, but Briar and Darlene have slotted in with very little extra support. "At first I wondered how my staff would cope, but they are part of the sisterhood out there in the kitchen. They are treated totally equally." She says it has been great to help the two women progress into the world of work. "I'm delighted with them; they're a breath of fresh air. Briar and Darlene met at Tech and have been close friends ever since. The women used to enjoy catching up over a cup of tea, but thanks to their café experience are now confirmed coffee drinkers. "It keeps the brain kicking," says Darlene. Briar and Darlene were supported to find their jobs by IHC who also provided training and assistance to help them succeed. There are organisations working in your area to set up supported employment - contact IHC or CCS Disability Action to find out more.